Medical alert systems with GPS are ideal for active seniors. They feature built-in technology which enables you to send your location to first responders and request critical assistance during an emergency inside or outside your home. Let’s take a look at five of the best medical alert systems with GPS. 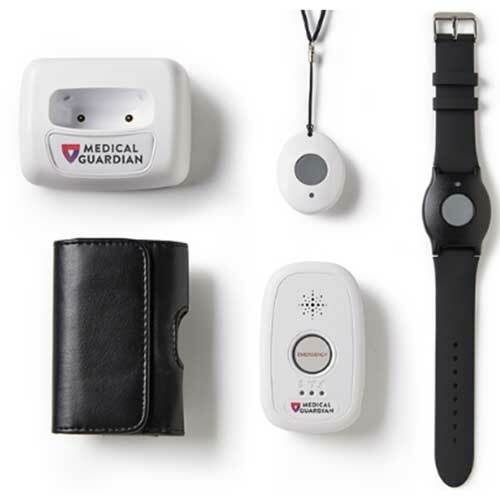 Medical Guardian’s Mobile Guardian personal emergency response system consists of a lightweight and portable medical alert device which works in combination with a wearable emergency button. It connects you to Medical Guardian’s 24/7 monitoring center via a nationwide cellular network. Mobile Guardian includes GPS tracking, ensuring you can receive help regardless of your location. It comes with free AT&T cellular service and provides you with wireless access to Medical Guardian’s monitoring center. 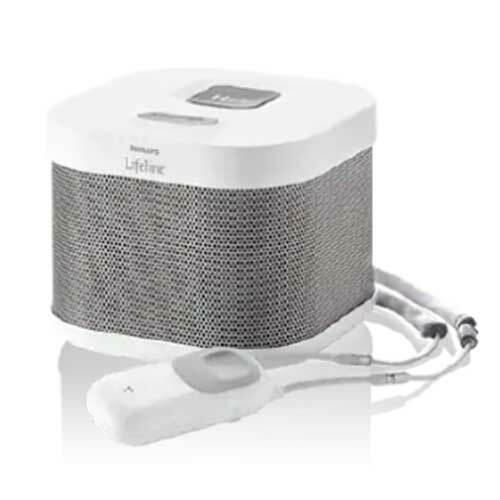 Plus, Mobile Guardian offers an adjustable-volume speaker which enables you to stay in touch with Medical Guardian’s trained operators. 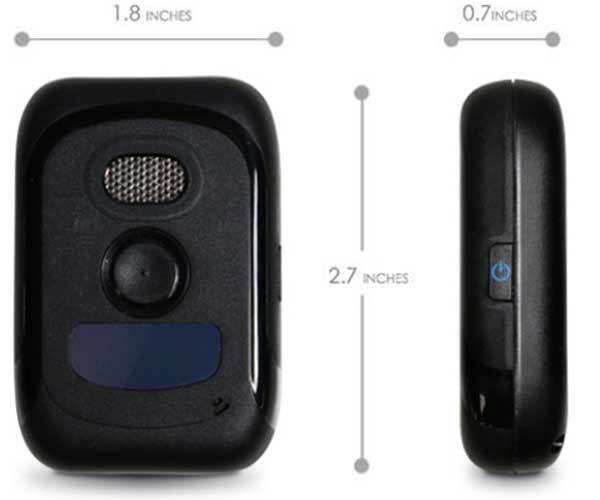 Mobile Guardian is also waterproof; thus, if you slip or fall in a bathroom or shower, you can use the medical alert system to receive immediate assistance. To use Mobile Guardian, you only need to press an emergency button. Next, you can speak to a Medical Guardian operator via the system’s two-way speaker to request emergency or non-emergency services. The operator then uses Mobile Guardian’s GPS tracking capabilities to pinpoint your location and send help. Price point: Mobile Guardian subscriptions are available starting at $39.95 per month, and all Mobile Guardian plans include free equipment. LifeStation Mobile with GPS includes a medical alarm button which can be worn as a neck pendant or wristband. It comes with a speaker and voice capabilities which allow you to communicate with a LifeStation care specialist – even if you fall. This is crucial, as the Centers for Disease Control and Prevention (CDC) reports approximately 25 percent of people age 65 and older fall each year, yet less than half of these individuals notify their doctor after their falls. If you cannot speak, Mobile with GPS helps you communicate with a LifeStation care specialist, too. Mobile with GPS enables you to set up a personalized emergency action plan, and LifeStation care specialists will follow your plan and contact emergency services, friends, and family members in the order you request. Additionally, Mobile with GPS includes LifeStation’s complimentary AlertMessage service, which automatically notifies your caregiver about an emergency, medical alert system tests, or system issues. Mobile with GPS also boasts Wi-Fi positioning location tracking capabilities. It facilitates clear two-way conversations, and a full charge will keep your Mobile with GPS device working for up to five days. Price point: Mobile with GPS subscriptions are available starting at $35.95 per month, and fall detection capabilities can be added to a Mobile with GPS plan for $7.00 per month. Bay Alarm Medical’s GPS Alert System is powered by AT&T and offers 24/7, on-the-go support. It offers protection both in and away from your home and up to 72 hours of battery life on a single charge. Unlike other medical alert systems, the GPS Alert System provides the GPS Tracking Portal, which enables a caregiver to check your current location and location history. 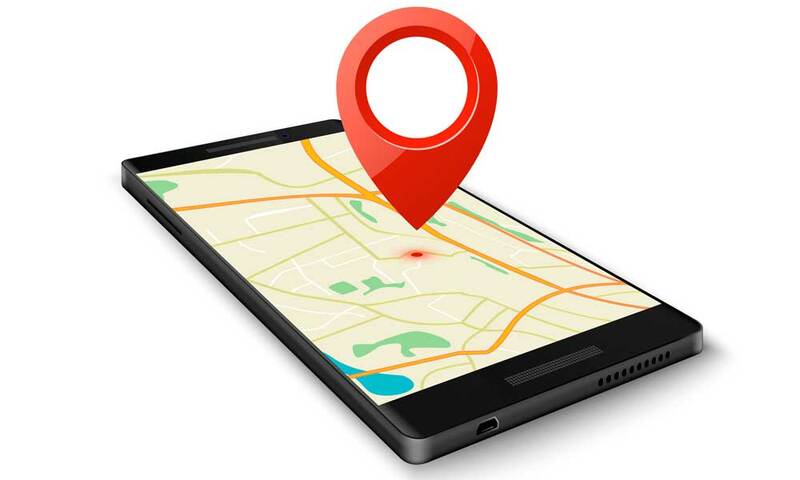 The GPS Tracking Portal also gives you the ability to set up geofencing to provide notifications via SMS or email. Therefore, your caregiver can check your GPS location, even if this individual leaves the area. The GPS Alert System is made for mobility. It is ultra-compact and lightweight and offers instant assistance at the push of a button. The system is also backed by three redundant call centers for maximum reliability. Price point: The GPS Alert System is available starting at $29.95 per month. It is also sold with free activation and a risk-free trial. MobileHelp Solo is an easy to use and lightweight mobile emergency medical system which works at home and away from home. It comes with a waterproof wrist button or neck pendant which enables you to request help instantly. With Solo, you can take advantage of MobileHelp GPS technology and nationwide cellular coverage. Solo does not require a landline or cellular contract. Instead, Solo provides you with anywhere, anytime access to a convenient emergency monitoring service. Solo also offers MobileHelp Connect access, which features online tools to help you and your caregiver monitor your health and well-being. It even boasts emergency, non-emergency, and system status alerts, location detection requests, and other capabilities you won’t find elsewhere. Price point: Solo subscriptions start at $37.95 per month. You can also add automatic fall detection to any Solo subscription for $10.00 per month. Designed for active seniors, Philips Lifeline GoSafe provides trusted, reliable access to emergency assistance. It is equipped with GPS technology to give you access to help whenever and wherever you need it. GoSafe provides six different ways of locating you in an emergency. Two-Way Voice: Your pendant has a two-way microphone to allow you to speak with your emergency responder. GPS: Satellite navigation technology can detect you anywhere. Intelligent Tracking: Technology tracks your movement creating a trail which can be accessed by emergency responders. WiFi: Uses WiFi hotspots to find your location. 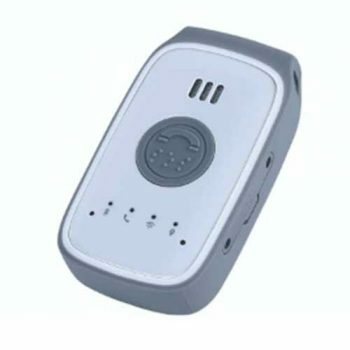 Audio Beacon: Your mobile help button comes with a built-in alarm that can be accessed by the call center and can audibly speak to first responders in the event you cannot. Base Station: If you’re at home near your base station, you can communicate with it. These options enable first responders to identify your location quickly and send immediate help. Furthermore, GoSafe offers both an in-home communicator and mobile pendant which allow you to speak directly with a Lifeline response associate. Also, GoSafe features AutoAlert, one of the top-rated fall detection technologies on the U.S. market. AutoAlert uses advanced sensors to detect falls, which are common problems for seniors nationwide. The National Council on Aging notes an older adult is treated in the emergency room for a fall every 11 seconds, and an older adult dies from a fall every 19 minutes. Meanwhile, AutoAlert automatically places a help call to Philips Lifeline’s Response Center, even if you cannot push the GoSafe button. This ensures you can receive instant support during falls and other emergencies. Price point: GoSafe costs range from $54.95 and $64.95 per month, and you may be required to pay for a GoSafe mobile button. GPS technology is changing the way people stay connected to the world. The global GPS tracking device market is projected to expand at a compound annual growth rate of 12.91 percent between 2017 and 2023 and could be worth approximately $2.89 billion by 2023, according to recent market research. One of the key factors which could accelerate this market’s growth is the rising demand for medical alert systems with GPS. 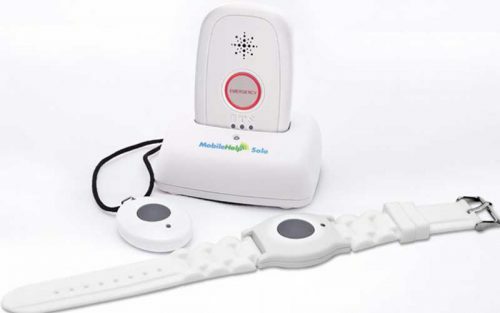 A medical alert system with GPS enables a senior to quickly notify trained operators about falls and other emergencies which occur at home or elsewhere. By choosing a best-in-class medical alert system with GPS, a senior can request critical support in life-threatening scenarios. As such, a medical alert system with GPS is often a must-have for active seniors.